Split cylinder | KANTO Electronic Application and Development Inc. The millimeter wave material market is changing drastically by 5G and automotive radar. A measurement system that can evaluate leading edge materials accurately is needed to succeed in the market. 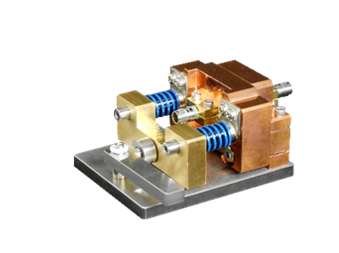 The 80 GHz split-cylinder resonator responds to this market demand and provides easy-to-use and accurate dielectric material measurements. Our split cylinder has been very well established up to 50 GHz, and the resonator design has been optimized according to the latest machining technology to extend the upper frequency towards 80 GHz. 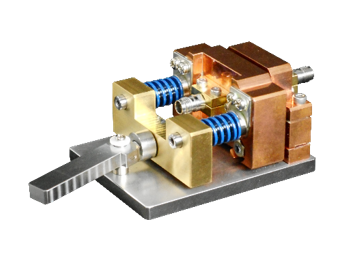 As a result, it has become possible to accurately and easily measure low loss dielectric materials in a wide frequency range from 10 GHz to 80 GHz using a flat plate sample. About technical information, refer to "Resonator Perturbation Technology Overview." PTFE measurement example using 80 GHz split cylinder is available on "PTFE repeatability test example", which shows tanδ0.0001 repeatability at 80 GHz.